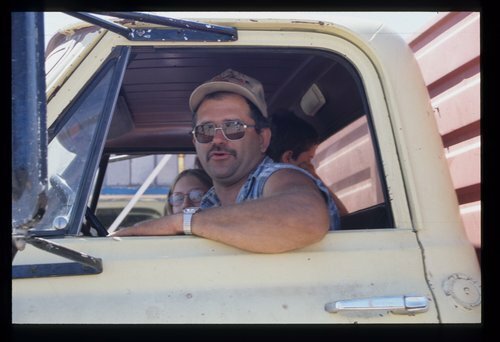 These photographs are part of the Kansas State Historical Society's online exhibit, "Wheat People: Celebrating Kansas Harvest." This exhibit focuses on the people who have built Kansas' agricultural reputation. In June 1998, the KSHS staff followed harvesters from the Oklahoma border to far northwestern Kansas. They photographed and interviewed families from the top twenty wheat-producing counties in Kansas. The photographs featured here are of Phill and Linda Martin of Great Bend, Kansas.